This weekend we finally finished off the toothpaste we have been using since last year, purchased before our plastic-free adventure began. We had a bit of a stockpile of the old stuff to use up, but now the last little bit is gone, and from now on I’m gonna make my own. I’ve been suspicious of conventional toothpastes for a while and stopped buying them 18 months ago. Conventional toothpastes are full of cleaning agents, detergents, preservatives, anti-microbial agents, and thickeners, and many of these ingredients are questionable in terms of their effects on the body. This is added as a foaming agent and detergent. It is a known irritant. This is added to toothpaste to help prevent cavities. However it is toxic by ingestion and can be fatal. It can affect the heart and circulatory system. In younger children too much fluoride can cause fluorosis, which is when the enamel of the teeth is discoloured and the teeth have brown markings. This an anti-microbial and anti-bacterial agent used in toothpaste to help prevent gum disease. However, it has a number of other impacts on humans and the environment. For example, triclosan is fairly stable and fat soluble, meaning it can accumulate in the body. It has been found in blood, urine and breast milk. It is a demonstrated endocrine disruptor and has potential links to breast cancer. There are also concerns that its widespread use may cause resistance in bacteria similar to the way antibiotic-resistant bacteria developed. You can buy natural toothpastes but they are expensive (and some still contain questionable ingredients), and they almost all come in plastic packaging. Making your own safe, inexpensive, packaging-free toothpaste seems to be the best solution. 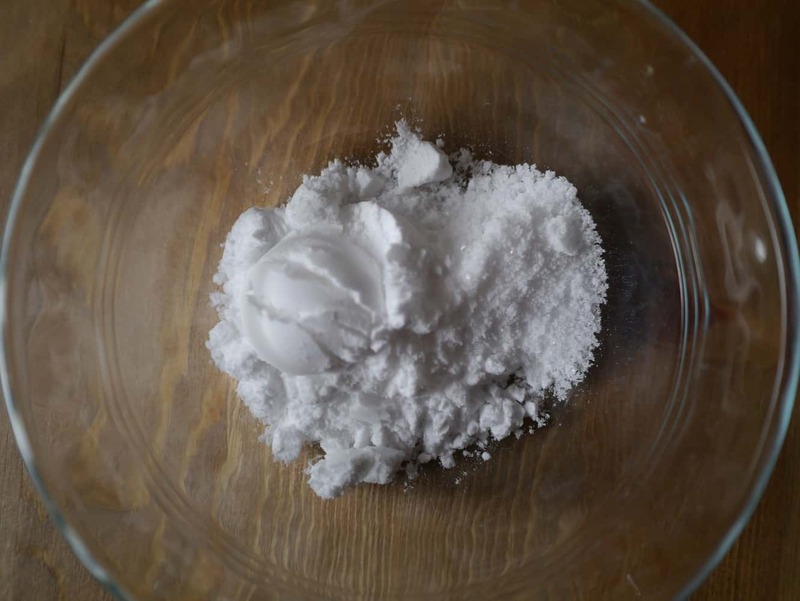 You can make your own toothpaste simply in just a couple of minutes using only a handful of ingredients. 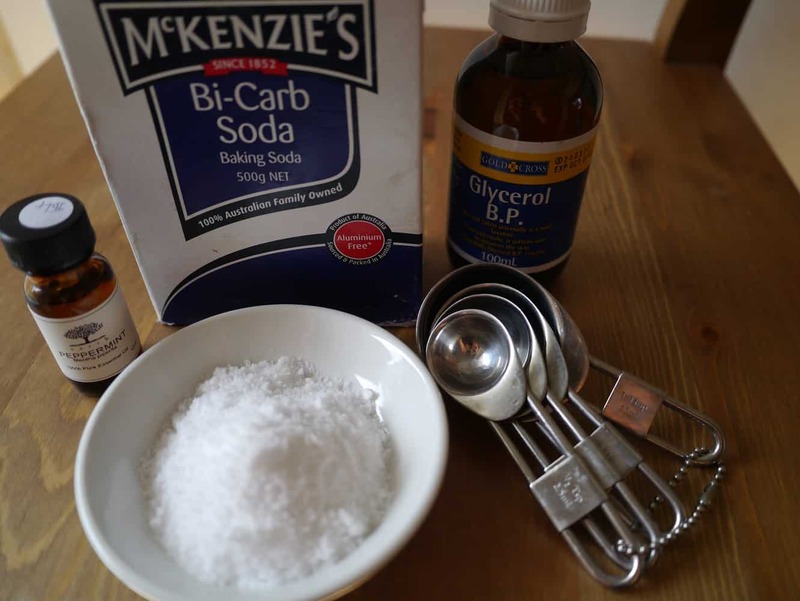 Bicarb soda – is an abrasive agent that removes dental plaque and food from teeth. It also neutralises stains and odours. Sodium chloride (salt) – is a mild abrasive and also has anti-bacterial properties. Glycerine/glycerol – is a sweet-tasting colourless odourless liquid that makes the paste smooth, provides lubrication and acts as a humectant, helping the toothpaste retain water. You can buy glycerine at a pharmacy. Peppermint oil – this gives the toothpaste its minty taste. You can also use other essential oils but ensure they are food grade. Measure dry ingredients into a bowl. Add glycerine and stir to form a paste. Add essential oil. There is a lot of information on the internet regarding glycerine in toothpaste. It all seems to come from one source, Dr Gerard F. Judd, who wrote a book called ‘Good Teeth, Birth to Death‘ published in 1996 in which he claimed glycerine coats the teeth and prevents remineralisation. I have not read the book but if using glycerine in toothpaste is something that concerns you, you can replace the glycerine with coconut oil. Coconut oil has anti-microbial properties and because it is solid below 25ºC it works well as a glycerine substitute. To make this version use the recipe above but substitute 3 tsp glycerine for 2 tsp coconut oil. Neither toothpaste willtaste like conventional toothpaste, so don’t be surprised! Bicarb soda and the salt make the taste very salty. The glycerine version is slightly sweeter and has more of the texture of conventional toothpaste. It has a higher melting point, whereas the coconut oil will melt in your mouth – literally – and has a mild coconut taste and the texture of oil. 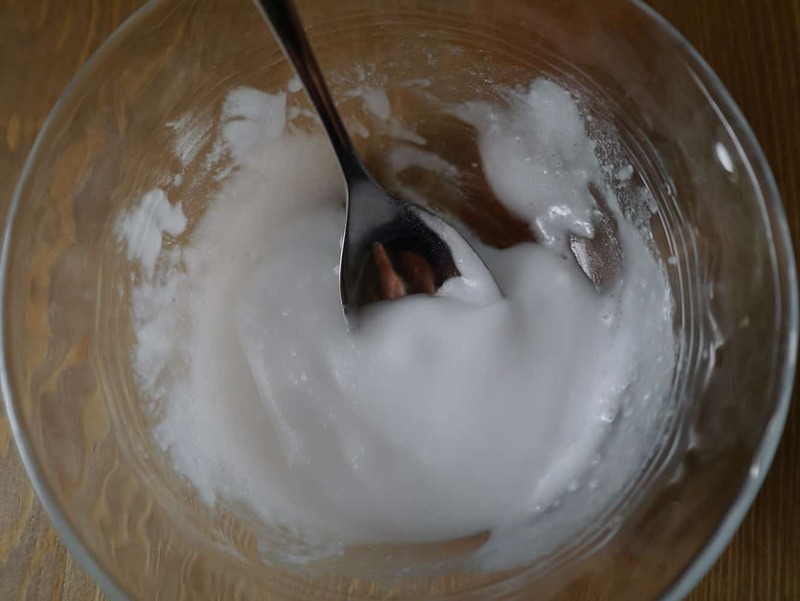 If you’re not worried about glycerine (and if you’ve been using conventional toothpaste you’ve probably been using glycerine in that) I would recommend starting with that, and once you get used to the taste you could consider making the switch to coconut oil. 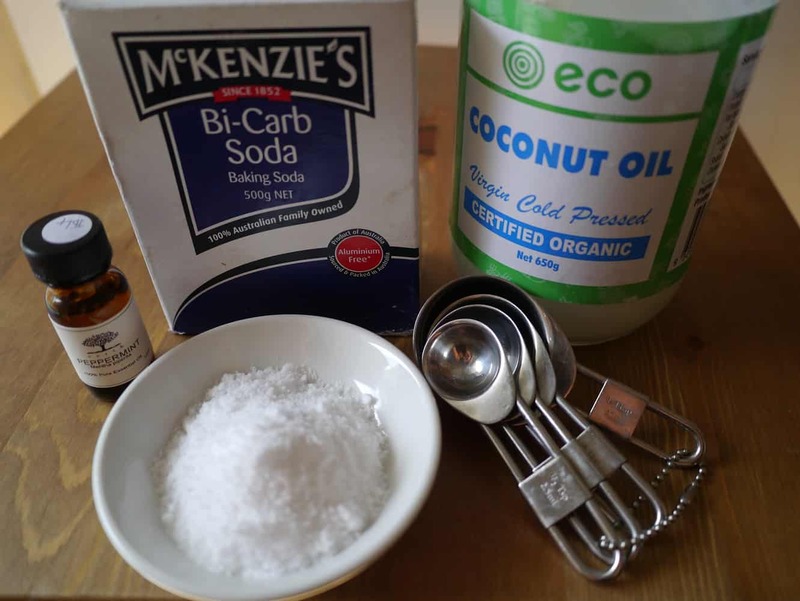 ← Deodorant: why natural is better and how to make your own! We got concerned about SLS and plastic and the unbelievable expense (!!!) 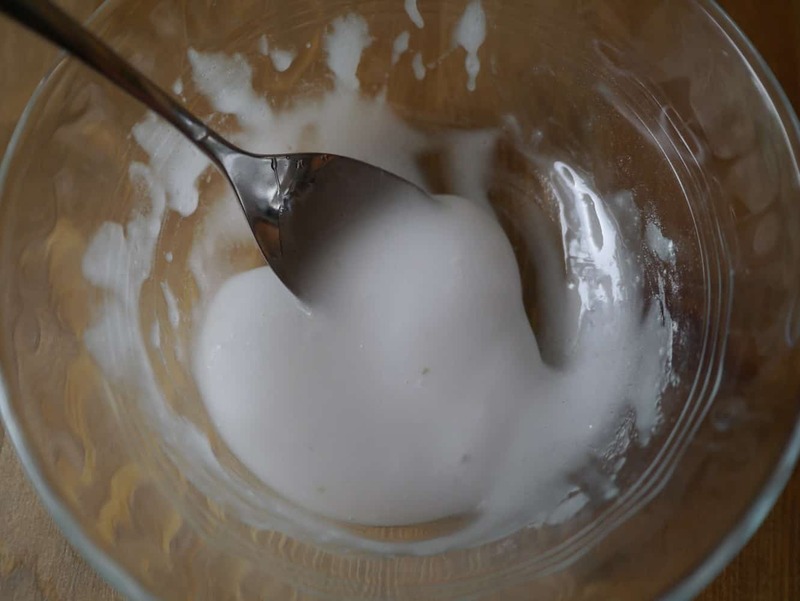 of any toothpaste about a year ago now, and after a LOT of googling, we started making our own tooth powder – which was my fiance’s idea. Jumping straight from paste to powder was a bit of a shock, but we noticed the difference almost immediately – teeth felt cleaner and healthier, my gums which I had always been told were too red almost quickly became pinker, there was no sugary residue or aftertaste. Our recipe uses bentonite clay, xylitol/stevia powder, myrrh gum powder (we found it in a herb shop in Freo), and then if you want a minty powder ground dry peppermint and a few drops of peppermint oil (replace these with ground cinnamon/cinnamon oil or any flavours of choice). The supplies we bought for the first round at least a year ago are still going, and it makes a jarful each time that lasts a good couple of months. I have never looked back, and the thought of using commercial saccharine toothpastes now is horrifying! Ah, I’ve read good things about bentonite clay. Thanks for the tip! I will have to look into it – where did you get yours from? Found it at the tea/herb stall in the freo markets. I’d heard all this great stuff about it and expected it to be super expensive and it turns out to be something like $2/100g, which is plenty for what you would use it for. Thanks for sharing. It is really useful to know how to make your own toothpaste from ingredients you have in your kitchen and are actually edible, too. Even if someone happens to swallow portion of it, (s)he doesn’t have to worry. So true! I find it worrying that they put ingredients in toothpaste that “are harmful if ingested”! How does that work exactly?! Why would you put these things in a product that you’re going to put in your mouth?! Glad to find this recipe. Will give it a try. Even the natural store-bought toothpastes make my mouth sore. I may replace the peppermint oil with maybe tea tree oil because I’ve found that many minty toothpastes bother my mouth. Have you used other flavors?